Why Don't Teens Read For Fun Anymore? Why, if so many teens say they enjoy reading, do so few actually read frequently? Reading is a great way to escape the present and be somewhere else for a little while. But I've noticed that many of my high school friends rarely read for fun. Out of curiosity, I decided to conduct a reading-related survey of 35 high school students. "I read because I'm able to be fully absorbed in something other than my life, which is fun!" "I read because I get to escape reality for a couple of hours." "I like the way words can give so many different feelings and make you imagine places you would love to go." "It's such a fun experience, and if it's good, detailed writing, it paints an amazing picture/story." "I was the smart child, so I kind of have to keep up that reputation." "I never understand what's going on." "I cannot concentrate, no matter how hard I try." "Well, I used to love reading but once school startedtaking over my life, I stopped." "I spend so much time reading for school (online and on paper) that I'm rarely in a reading mood." "I can get into a book, but I get distracted and tired easily while reading." "I need to read in silence, which is impractical, and often times I fall asleep while reading." "I used to read a lot, but now it's hard to find time to relax and choose a book over my phone." "I'm so busy reading school books, I don't have time to read for fun.". "Netflix and college apps (but mostly Netflix)." "I grew up being the most frequent reader in any of my classes. I loved to read, and spent more time reading than anything else. I honestly feel like school was what drove me to dislike reading, or at least stop doing it so regularly because I felt forced to do something and that took the joy out of it. I would love to read, and I try so hard to find time to do so, but I usually end up doing something else." Although the majority of teens I surveyed either used to love reading or still do, it seems that many of them simply don't find the time to read anymore. It can be difficult to focus on a book after a long day of school, extracurriculars, and homework. That said, I definitely think that the internet plays a substantial role in consuming free time that could otherwise be used for reading. To confirm this suspicion, I asked the group how much time they spent online. 92 percent of respondents said they go online for more than three hours each day. Personally, I think that nearly everyone can manage to clear at least a little time each day to read. As an avid reader, I hope that people my age try to read more often. Reading can be so fun and so rewarding, and I don't think it's appreciated enough! It's time to find out why you love (or hate) that one character so much. I grew up in a household that loved and appreciated Jane Austen in all of her forms—books, movies, and TV miniseries alike. I've seen nearly every adaptation known to man and, as a result, have gotten to know her characters fairly well. Going off of my own knowledge of the Austenian characters, the Myers Briggs personality and what I've found from trolling the internet forums and Tumblr blogs, I've compiled a comprehensive list of the Myers Briggs types and their corresponding characters. 1. 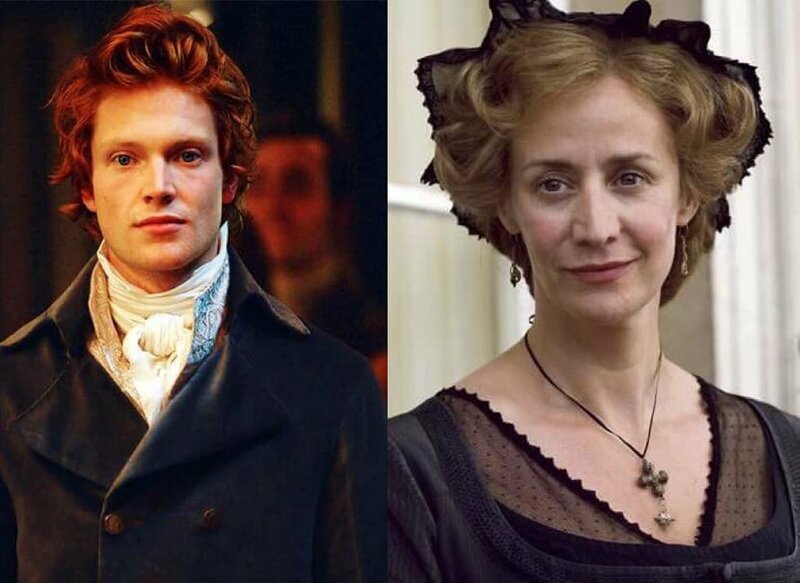 ENTP: Henry Tilney / Mary Crawford. ENTPs are imaginative, lively-minded people, much like Henry Tilney and Mary Crawford. Known as the Devil Advocate or Debator, they are also logical, analytical, and constantly seeking to better understand how things work. We can see the ENTP traits in Henry as he greatly enjoys science fiction and encourages Catherine's wild imagination. He's honest, blunt, opinionated, and stubborn, forever asking Catherine questions in order to get to know her and subtly defying his father. Conversations with Mary move from topic to topic easily and quickly. She's witty, open-minded, and always down to analyze a subject from all angles, including whether or not being a clergyman is an actual profession. Her feelings for Edmund come into conflict with her innate logic and the practical means of marrying for money. Similar to their extroverted counterparts, INTPs are driven by a desire to understand and gifted with an ability to analyze. Mr. Bennet is quiet, reserved, detached, and logical. He's content to sit by as his wife fusses and interrupt with a witty barb or two in response to her complaints. He's fine with the unconventional, such as when he wants Elizabeth to refuse Mr. Collins' practical proposal of marriage if it's not what she wants. This woman is a true blue ENFP and nothing will ever convince me otherwise. Charity from the funkymbtifiction Tumblr blog does a good job of affirming this, and there's further proof if anyone is still unconvinced. In short, she changes her mind frequently as any ENFP would. She trusts her intuition, but it's not always correct (see: Wickham), but easily adapts as she gathers new information (see: falling in love with Darcy). Lizzie is rather private about her feelings, often playing serious situations off as a joke, and is more than willing to resist authority if it means following her internal moral compass. It baffles my mind that anyone would perceive her as anything other than an ENFP. Seriously, you can pry this typing from cold, dead hands. Fanny is very aware of what she's feeling, as any Fi-dom would be. She has no need to consult any outside sources in order to determine how she feels, particularly in regards to Edmund. She holds on to the hope of Edmund one day returning her feelings, just like NPs tend to hold out for a potential future. 5. ENFJ: Edmund Bertram / Emma Woodhouse / Frank Churchill. Edmund, Emma, and Frank are all very people-oriented individuals. Edmund has always been able to sense the emotional atmosphere and is adept at comforting and soothing over social booboos. He has a singular goal and aim in life that no one can veer him from: to become a clergy. Emma is kind-hearted, loves being the center of attention, and takes to heart how people see her, which is partly why Knightley's criticisms matter so much to her. She is also single-minded in the sense that once she has a plan, she strives to see it happen. This is what causes all the relationship drama in Emma. Frank comes alive and is at his best when he's interacting with people, charming and shmoozing everybody. He's a gift-giver and response-invoker—a rather devious sort of ENFJ. He's so future-oriented that he often forgets to focus on how what he's doing in the present will affect that future (i.e. when he's so set on concealing his engagement to Jane Fairfax that he flirts with Emma and doesn't see how this could impact his relationship with Jane). Jane Fairfax speaks in poetic, abstract language, especially when asked how she's feeling in the weather and responds with a brief, heartfelt speech about being fatigued. She's friendly and worried about maintaining the social peace, and so endures Mrs. Elton's meddlings and her aunt's ramblings. 7. ENTJ: George Wickham / Mrs. Bennet. First of all, I just want to say sorry to all the ENTJs out there. Wickham is an objective, go-getting planner. He rarely does anything out of emotion; it's strategy and tactical moves. He seduces Georgiana to get ahold of the Darcy fortune, flirts with Elizabeth for fun and intellectual stimulation, and attempts to seduce Lydia as well before he is stopped and forced to marry her by Mr. Darcy. He's a straightforward thinker. 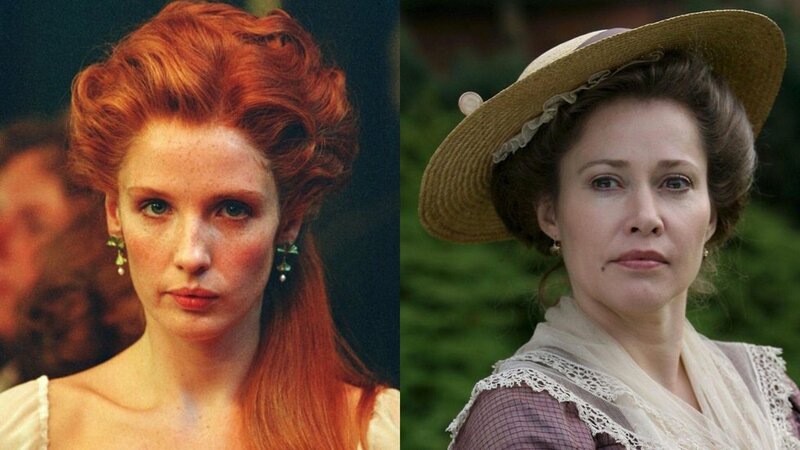 Mrs. Bennet is similar but less conniving and selfish. She wants to see her five daughters married to rich men (her singular goal) and is very direct in the way she puts into action various strategies to make it happen, like sending Jane to the Bingleys without a horse during the rain so that she'll get sick and have to stay there. No? Okay. So here we have our stereotypical, nerdy, awkward INTJ who's actually brimming with a lot of passion underneath it all. He's opinionated, stubborn, logical, blunt to the point of sometimes being harsh, and quick to put plans into action. He thinks Bingley's marriage to Jane would be an unhappy one, and so convinces his friend to leave town before anything can happen But he also has that open-minded quality most INTJs have; they're extremely bullheaded when it comes to their opinions and won't back down—until presented with a logical alternative. At that point, they'll concede, much like Darcy does when presented with the truth of Jane's feelings and his own misinterpretation of the situation. Willoughby has a love for extravagance and the "finer things in life." This coupled with his practical, logical, and analytical side prompt him to end things with Marianne and instead pursue a woman he does not love but will be able to afford his acquired tastes. He's flippant, frank, playful, and likable, charming people and at the same time easily mocking them. 10. ISTP: Henry Crawford / Charlotte Lucas. Henry's actions are driven by what makes logical sense to him (prompting the promotion of Fanny's brother will surely cause her to fall in love with him) and his love for doing. He is constantly wanting to act, getting antsy without something to do. This is what spawns their adventures: the trip to Sotherton, the play, and the desire to go away and act on his feelings for Fanny. Charlotte is equally practical, choosing to accept Mr. Collins' marriage proposal as she recognizes her chances to marry for love have been dwindling with her age. She always has a rational take on any situation, grounding her flighty, Ne-dom best friend. While Lizzie isn't always aware of her surroundings and is often stuck in her head, Charlotte is always in tune with the environment around her, often accurately perceiving people's intentions (i.e. Darcy having feelings for Lizzie). 11. 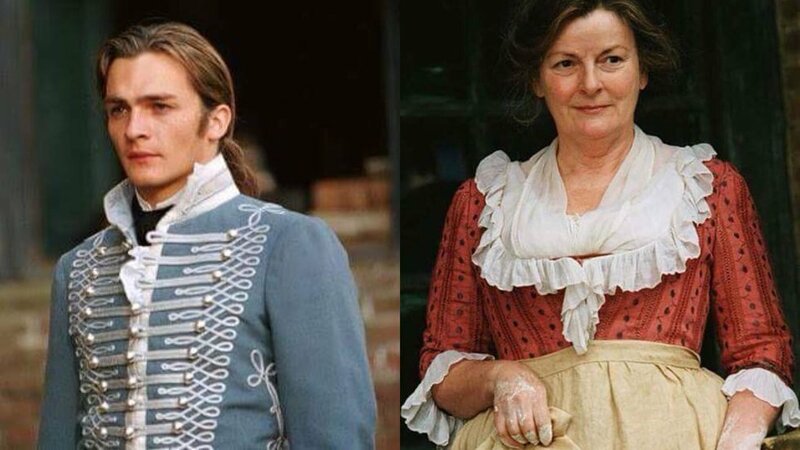 ESFP: Marianne Dashwood / Captain Frederick Wentworth. There has often been speculation that Marianne is in fact an ENFP. However, my favorite admin over at funkymbtifiction is now speculating she might be an ESFP, and I'm 100% here for it. While ENFPs and ESFPs can be similar in regards to their moodiness, sensitivity, strict adherence to authenticity, and melodrama—all traits our dear Marianne possesses—the main difference Charity distinguishes between the two is that the SFP won't “read too much into things or double-think" like the NFP. Marianne sees something, or someone, that she likes, and she goes for it. Captain Wentworth is constantly looking to his surrounding environment for stimulation rather than the intangible and abstract that iNtuitives are comfortable with. He sees what he sees and immediately acts on his perceptions. He feels everything internally, willing to wear a mask in public so as to not clue anyone in on his past relationship with Anne, but also is unable to be disingenuous with his hurt toward Anne and is cold to her as a result. 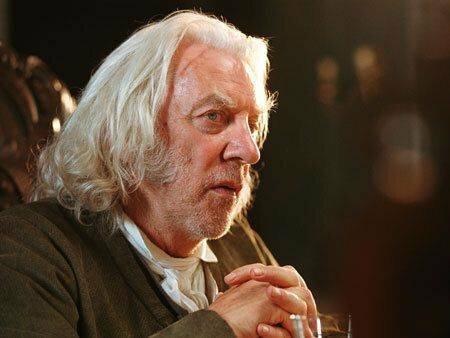 His morality is determined by what's going on internally, not what those around him are feeling or thinking, which is the main object of conflict for him and Anne. Sweet, quiet, and unwilling to easily share her feelings with others, Catherine displays typical ISFP qualities. She enjoys that which is tangible and that which is exciting, such as horseback riding, cricket, and reading gothic literature. She'll do what she wants because she wants to do it, seen when she explores Mrs. Tilney's old room. 13. 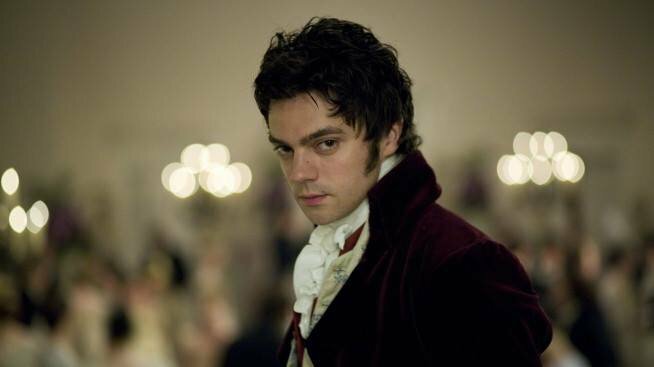 ESFJ: Charles Bingley / Mrs. Dashwood. Bingley is the ultimate people-pleaser, achieving an almost golden retriever-esque level of likability. He's kind, thoughtful, considerate, and easily swayed by the opinions of people around him. He shelters Jane and is kind to Lizzie when she joins them, but he leaves when his sisters and best friend advise him to do so. He's observant, detail-oriented, and respects the judgments of those around him because they've been right in the past. Attuned to people's feelings and unafraid of expressing her own, Mrs. Dashwood's heart-on-her-sleeve nature is the most notable thing about this character. It's hard for her to think of the future in any practical sense and instead is stuck in the past. It takes them years to move from Norland Park, despite Fanny Dashwood being a supreme jerkface, simply because of Mrs. Dashwood's emotional attachment to the place. 14. 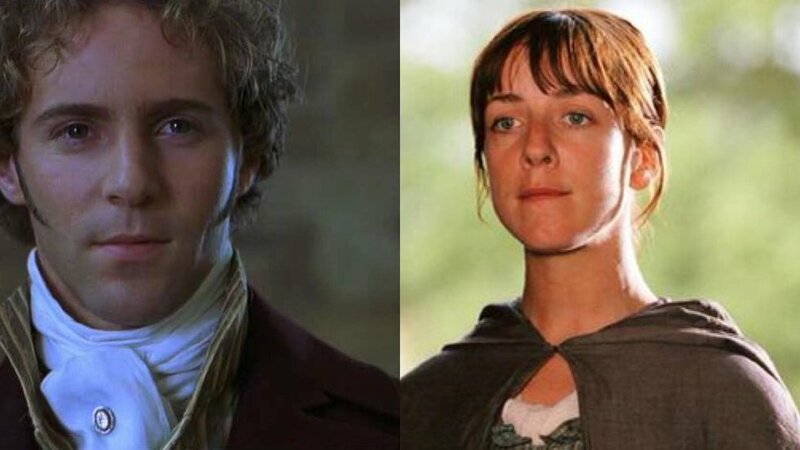 ISFJ: Anne Elliot / Edward Ferrars / Jane Bennet. Anne is often stuck in the past, recalling her relationship with Captain Wentworth with both fondness and sorrow. She is polite, but also private and withdrawn, taking in information and situations and seeing how they personally and internally impact her. Looking outward for harmony and approval, Anne relies on others' opinions almost too much. It's why she initially rejects Wentworth's proposal of marriage and why she is so willing to do tasks no one else would, such as caring for her "sick" sister, Mary. Gentle, respectful, and duty-oriented, Edward tries to stay within convention and what is socially and ethically expected of him. Like Anne, Edward is driven by a strong desire for approval and to please others, which is why he almost gets married to the first woman he ever felt anything slightly romantic for. He doesn't want to break off the engagement so as to avoid hurting Lucy Steele's feelings. Jane, one of the sweetest and kindest Austenian heroines, is content at home with familiar comforts. She often takes people at face value, making it hard for her to see how awful Caroline really is and how Darcy must not be a truly terrible person if Bingley is friends with him, despite what Lizzie informs her of what Wickham says. She's compassionate and wanting to believe the best about everyone. Despite being an introvert and reserved with her feelings to the general public, she gladly and easily opens up to Lizzie. 15. ESTJ: Caroline Bingley / Mrs. Norris. Apparently Jane Austen only wrote TJs as villains, so my condolences to every ESTJ in existence (including my lovely sister who is nothing like these monsters). Calculating and extremely sociable, Caroline is a true ESTJ. She enjoys the finer things in life, focuses on the world around her, and shows almost no emotion. She wants herself and her brother to marry financially well-off people for the security of it and to maintain a certain public image. Mrs. Norris is a practical, organizational queen. She organizes the play production, Maria's engagement to Rushworth, bringing Fanny to live with the Bertrams, and the journey to Sotherton. She's put out when she can't plan the ball. She consistently relies on past experiences, giving Mr. Thomas Bertram every excruciating detail of how she's been helpful in the past. 16. 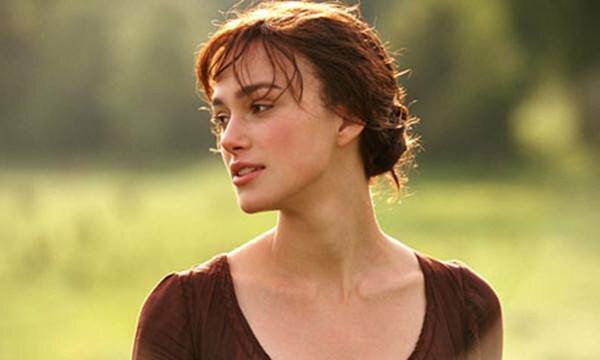 ISTJ: Colonel Brandon / Elinor Dashwood / George Knightley. Colonel Brandon is noticeably stuck in the past, pining after his lost love years after her death. Marianne's similarities to this other woman from his past make it easier for him to fall in love with her. He believes history will repeat itself, especially in the case of Willoughby and his treatment of women. Logical, Colonel Brandon assesses situations and takes swift actions. Marianne's favoritism clearly lies with Willoughby, so he backs off in his pursuit of her. He finds out what Willoughby did to his ward and challenges him to a duel, then informs Elinor of the truth of Willoughby's character. Similarly, Elinor holds on to her attachment to Edward despite changing circumstances. She is very aware of how the world works and how she must work within it. Women cannot inherit, so they must have good marriages in order to make ends meet. She is logical with her more emotionally-led and less pragmatic sister and mother, informing the former that they cannot accept Willoughby's gift of a horse and reminding the latter that they must "think very differently now" in regards to where they should live. 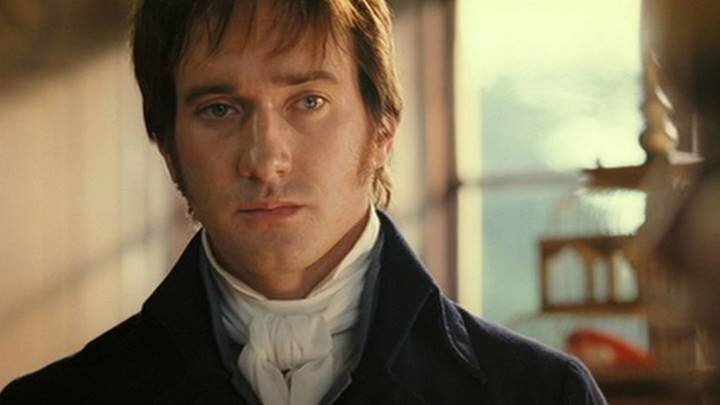 The ultimate Austenian bae, Mr. Knightley is practical, responsible, steadfast, detail-oriented, and conscious of how the world around him functions. This in combination with his innate rationality and logic is why he so often disagrees with the more idealistic Emma. She wants Harriet to refuse Robert Martin while Knightley knows him to be a respected farmer of honor and probably the best Harriet can do given her station and mysterious parentage. He is the moral conscience of the novel and quick to propose solutions to problems as they arise. When Emma cannot leave her father, he simply suggests moving in with them. Now you know why you relate to certain characters in the Austen canon and why others rub you the wrong way; it's personality, baby.